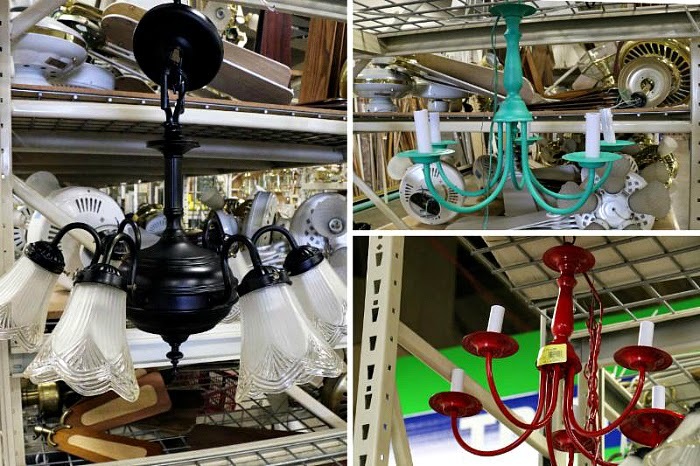 Habitat for Humanity ReStore is one of my favorite places to find project materials, they sell new and salvaged building supplies with the proceeds benefiting local Habitat for Humanity home construction. I always feel good about buying from ReStore because it's a way to support the Habitat mission while also keeping materials out of the landfill and saving on cost - it's a win-win-win! A couple months back, Tracie from Habitat reached out to me about collaborating on some posts. We decided to meet for coffee and immediately hit it off; she's crafty, I'm crafty, 'nuff said! 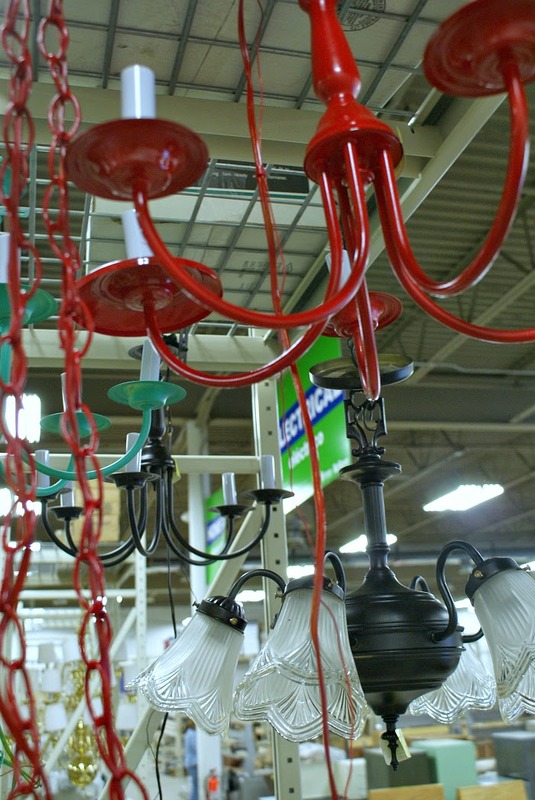 Eventually, we got onto the subject of the light fixtures available at ReStore. 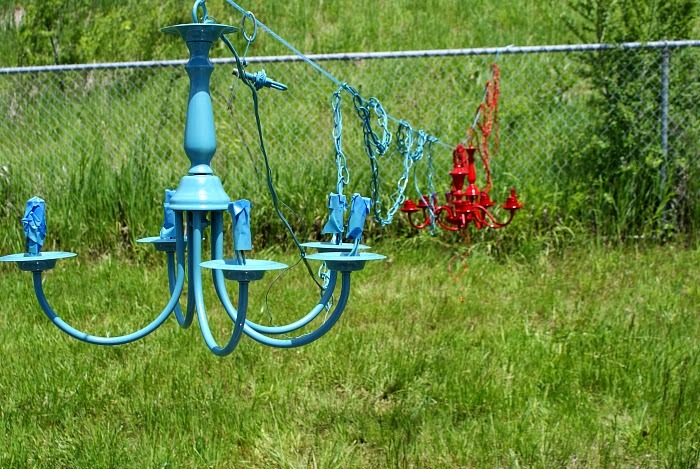 I've purchased and re-vamped several over the years, including the fixtures in our dining room and bedroom. So, the ReStore has a ton of slightly dated fixtures that just need a crafty touch and we thought it might be fun to paint a bunch of them as a way to show their potential and spark customers' imaginations. 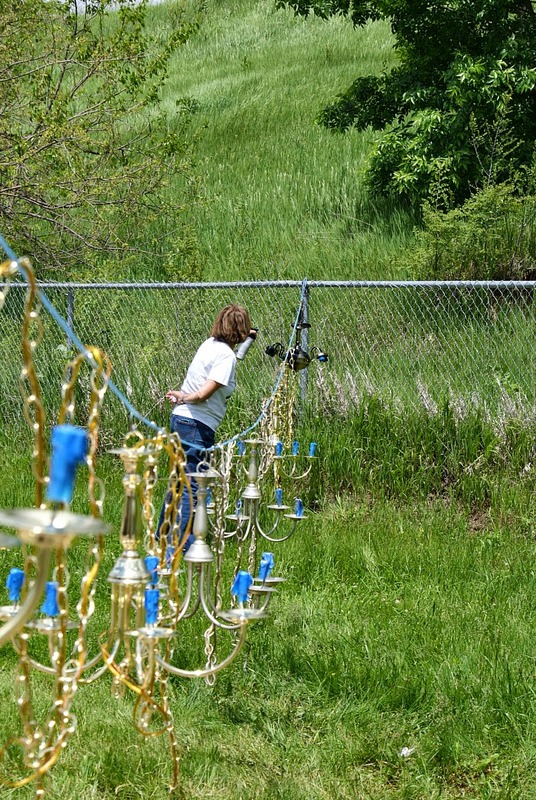 Last Sunday, we met up with a group of volunteers and "Kicked Brass" for a few hours. It was a lot of work, but our volunteers were such fun go-getters! We assembled and dusted fixtures, hung them up, (Shout out to Negil and Patrick for cleverly rigging wires!) and went to town with spray paint. 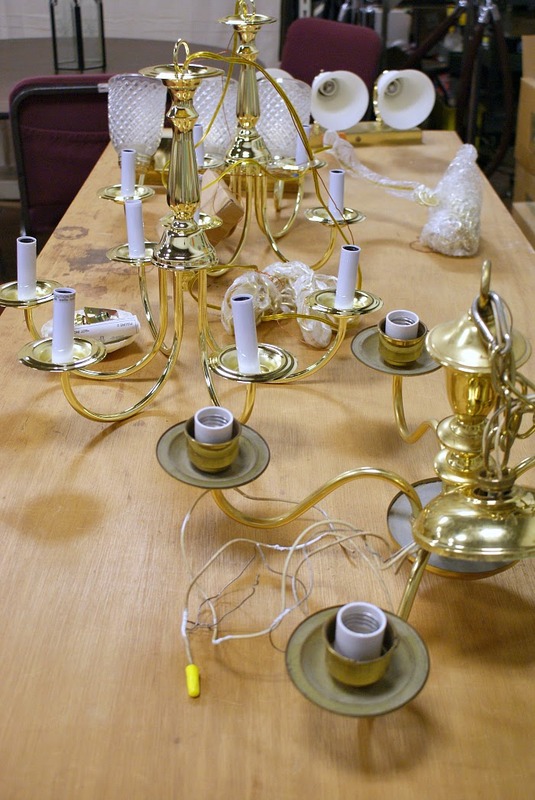 Don't those fixtures look fab?! I think the red is my favorite! There are still several available at both Omaha locations and a bunch of colors to choose from. Stop by and scoop one up! I had so much fun with this project, and I really can't say enough good things about the folks at Habitat. I also wanted to let everyone know that I volunteered to teach a craft night at the ReStore later this summer. I don't have the date pinned down yet, but I'll share the details on Facebook as soon as I know. I'm really looking forward to it and I hope if you live in the area you'll come out and join us!